Amazon and sales tax: The online retailer began collecting sales tax in Florida on May 1. 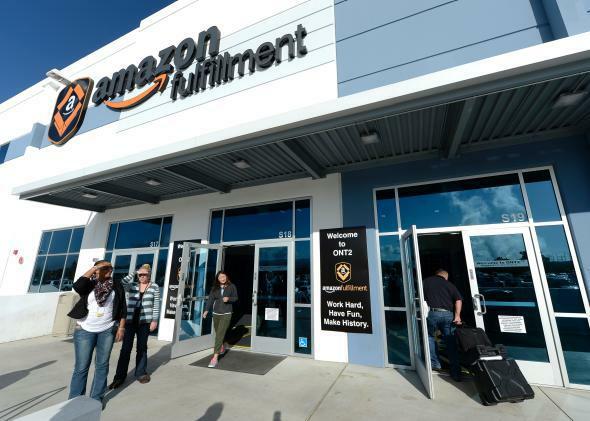 Two new Amazon warehouses or “fulfillment centers” in Florida are bringing a tax-free ride to an end for the state’s consumers. On Thursday morning, the people of Florida lost a tried-and-true method of tax evasion: placing orders on Amazon. Amazon has been avoiding sales tax for years. The 21 states it is now subject to sales tax in make up less than half of the 45 U.S. states that collect the tax on traditional brick-and-mortar stores. In some states like Arkansas, Louisiana, and Oklahoma, avoiding sales tax through Amazon can save consumers—and divert from governmental coffers—in the range of 9 percent of the price of purchases. If you’re a financially savvy consumer in one of those states, it’s foolish not to buy expensive items online. The addition of sales tax on Amazon in Florida is expected to generate around $80 million in revenue for the state. This setup sounds nice for consumers, but it’s a tremendous disadvantage for physical establishments. There was a time in the early 2000s when e-commerce made up a mere 2 percent of all retail sales, and perhaps needed a boost from avoiding sales tax; in addition, the savings seemed somehow to make up for the inconvenience of waiting for your item to arrive in the mail. But today online purchases have soared to 18 percent of retail sales. And for Amazon, which reported $19.7 billion in revenue in the first quarter, the days of being a small retailer are long past. Even Amazon has recognized the unfairness of this system and thrown its support behind federal legislation that would regulate taxes on online purchases, in large part because fighting and evading sales tax just isn’t worth the hassle anymore. For Amazon to provide the fastest, most convenient delivery service, it needs physical warehouses and distribution centers all over the country. Staying out of a state like Florida just to dodge sales tax would only slow it down. The irony in all of this is that so far levying a tax on Amazon purchases hasn’t done much to help the big losers of the unequal tax rules: local businesses. An NBER working paper released in April found that households living in states where sales tax applied to Amazon reduced their spending on the site by 9.5 percent. But rather than sending that money into brick-and-mortar shops, most of it just flowed back into other tax-exempt online operations, like vendors on Amazon Marketplace. Take away one money-saving loophole from people, and you can bet they’ll find another.